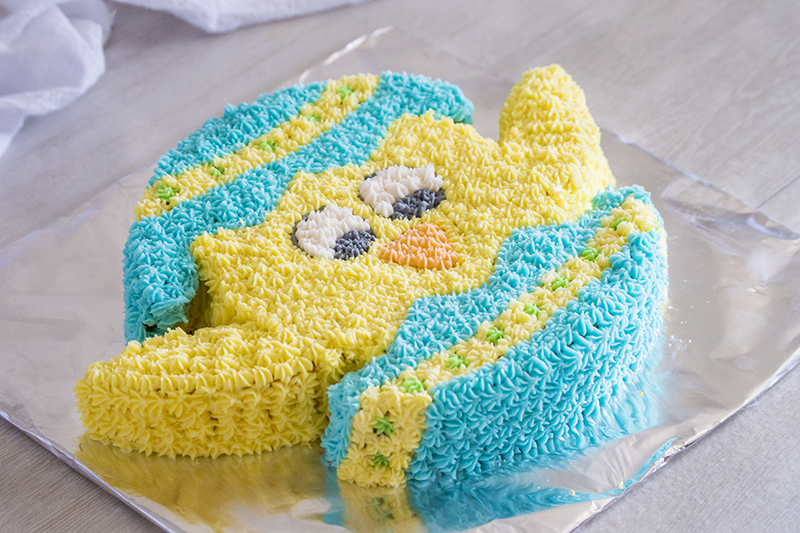 Easter just brings out the baker in me. So prepare yourselves for quite a few cakes in the next little bit. 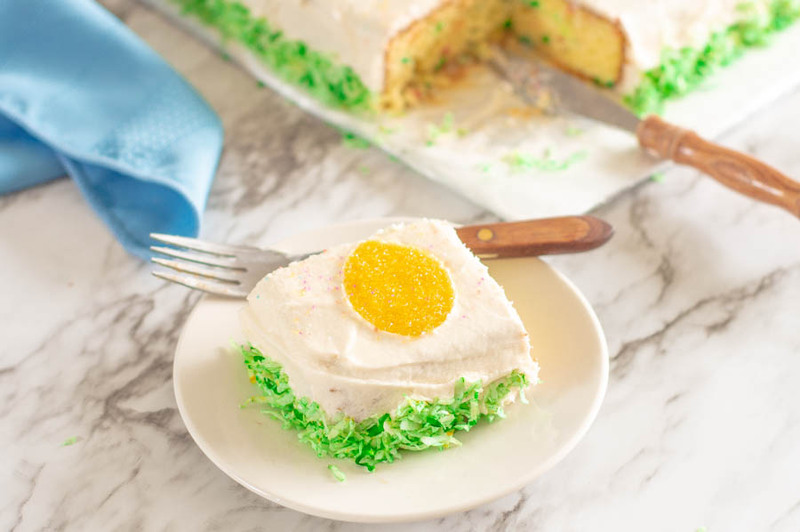 This sprinkle cake is the first of the group, and the easiest. 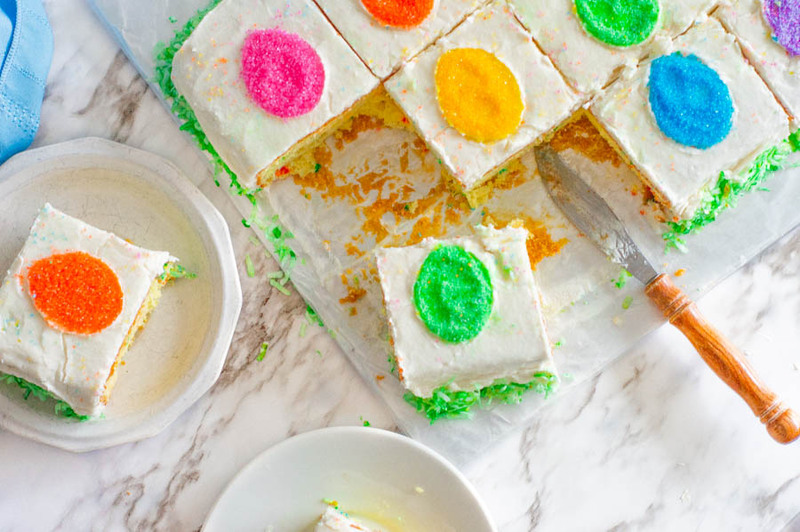 This requires absolutely no cake decorating skills beyond the ability to frost a cake. 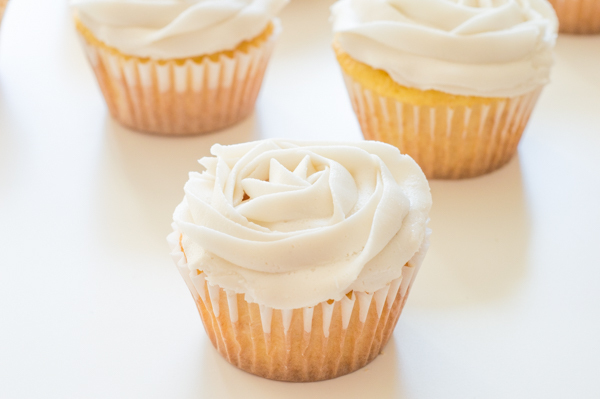 You don’t even have to get the frosting smooth. This is truly a beginner level project. 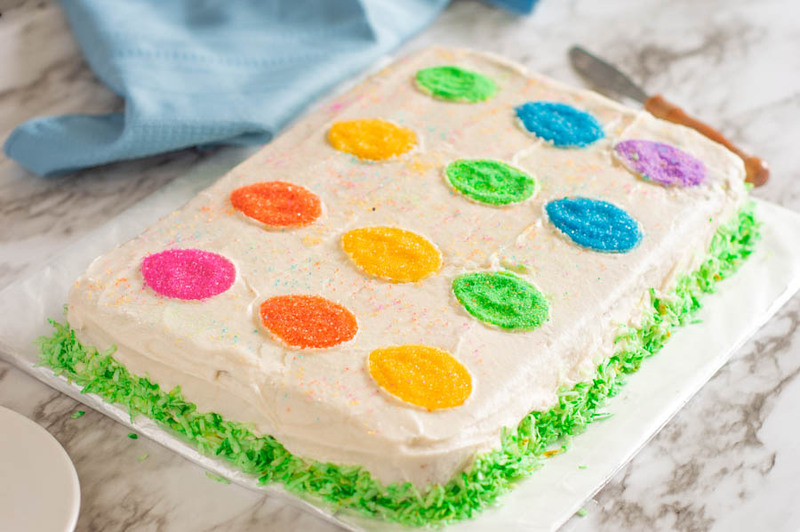 The cake is made by using a cookie cutter to contain sprinkles in a shape. What you will do with the eggs is basically the same as in this video. 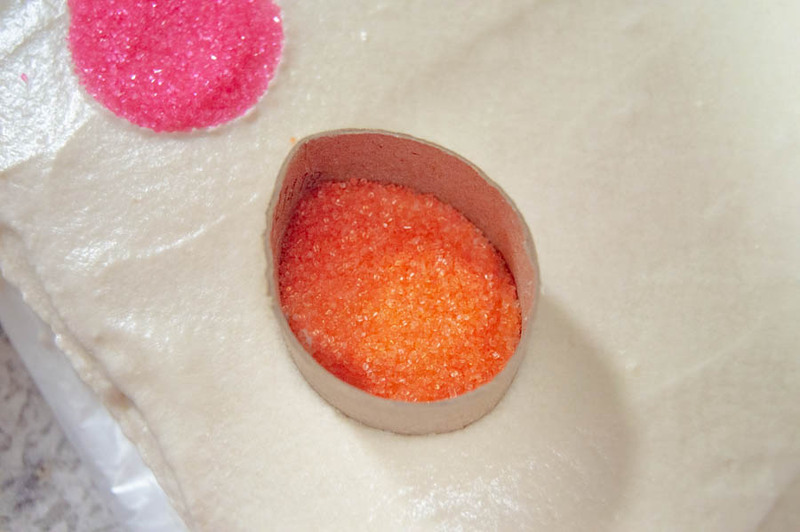 Just press the cookie cutter into the cake, shake in the sprinkles gently to fill the space, then carefully pick up the cookie cutter leaving the egg-shaped sprinkles on. It really is that easy! To get my design, split the cake into 12 servings, then put an egg in the center of each. I was trying for an ombre rainbow kind of thing, so I used 6 different sanding sugars instead of sprinkles. And my last thought: why stop here? 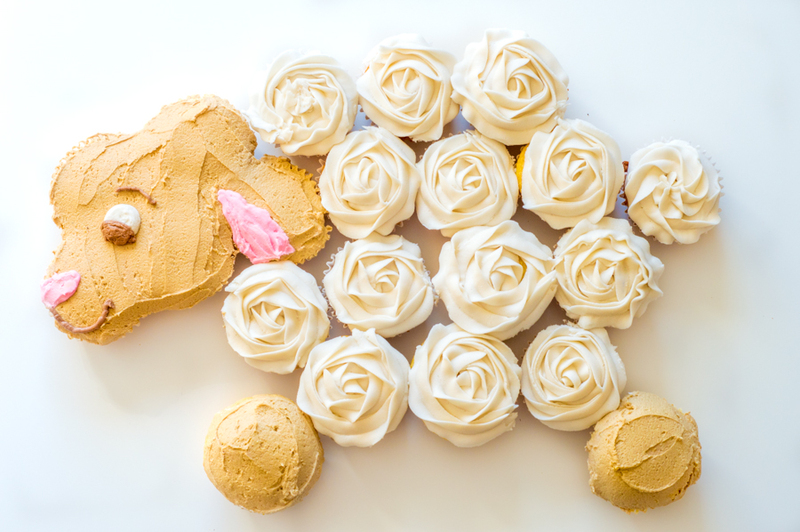 You could use this method with any shape cookie cutter – bunnies or chicks would be adorable – or you could do it with different size cutters. A giant Easter Egg with stripes would be a blast. So go on out and get your creativity on! In a mixing bowl, mix together all ingredients. Pour into greased and floured 9×13 and bake at 350 degrees for 25-30 minutes, or until toothpick inserted in center comes out clean. When cake is completely cooled, frost and serve. Beat butter and Crisco together. Add powdered sugar 1/2 cup at a time and mix until well combined. Your frosting will be very thick. Add water a little bit at a time until you get the desired consistency. If you scoop some up on a knife, it should fall off with one good shake. 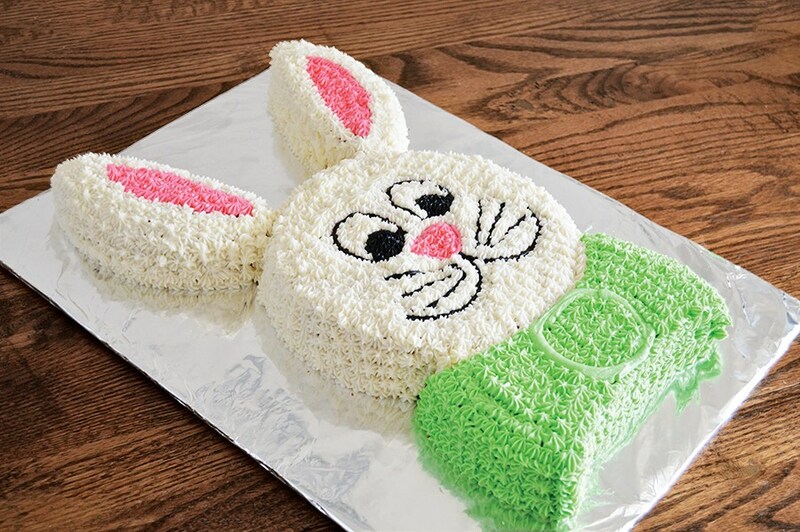 Looking for more Easter food fun? Check these out!